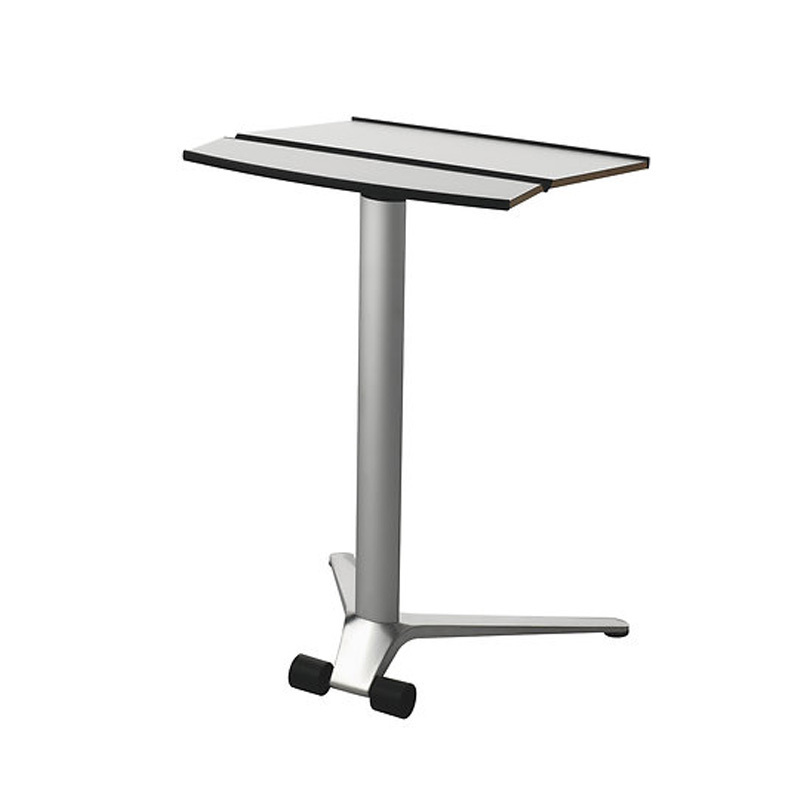 ﻿ Desking | Product categories | Matisse (China) Ltd. 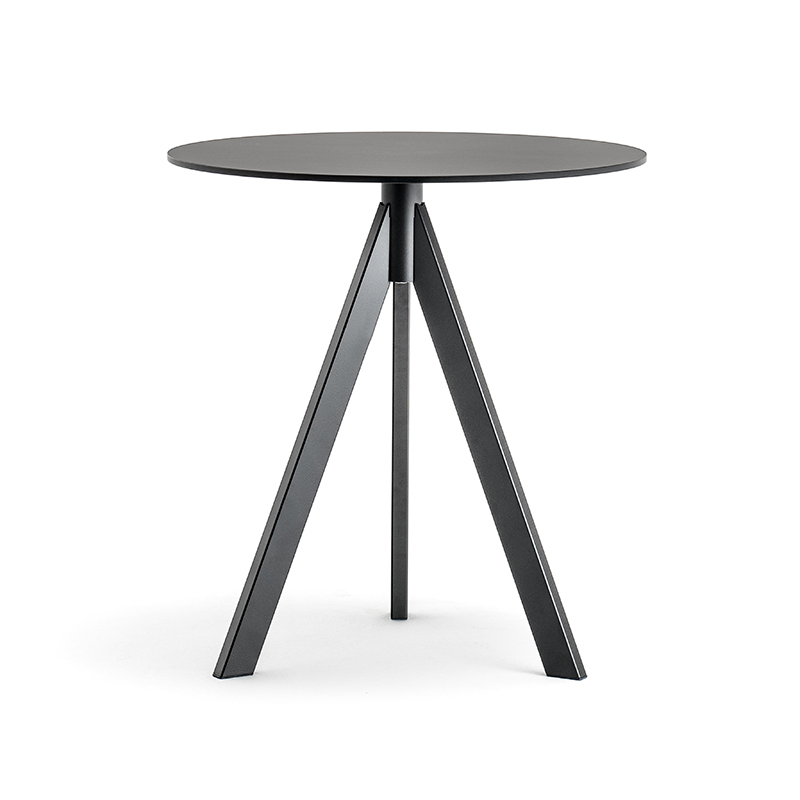 It is a geometric table design with metal bend feet and prismatic bearings. 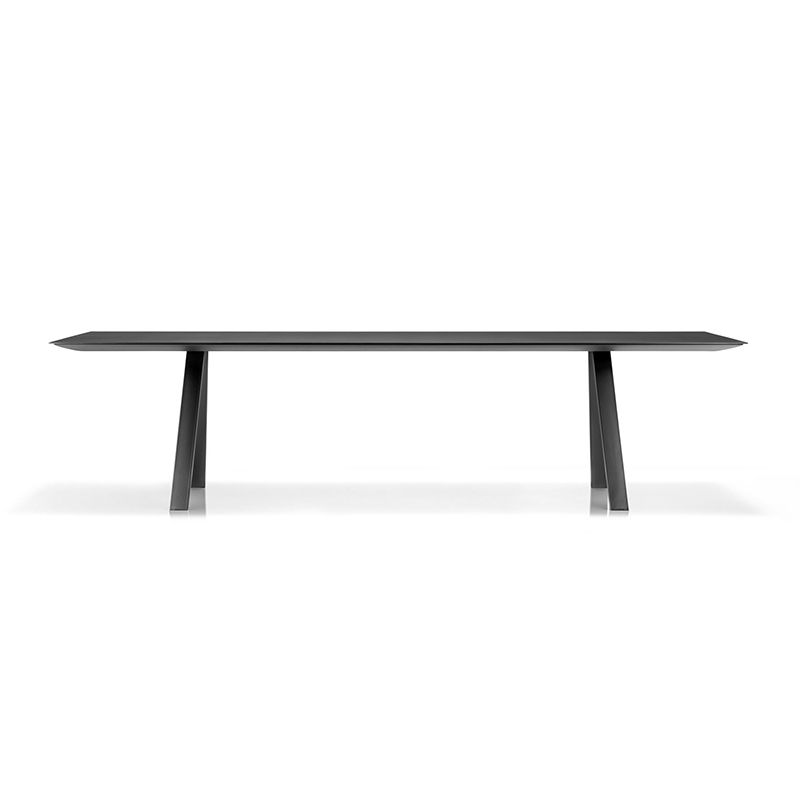 While many people use Absolute as a dining table, thanks to the sculptural structure which makes it a great manager’s desk. It is a good choice for business people who like to move their design habits to their office. A cross between art and design, the Accursio collection introduces a new creative language in the home or for contract use, to create myriad settings, uses and pairings. 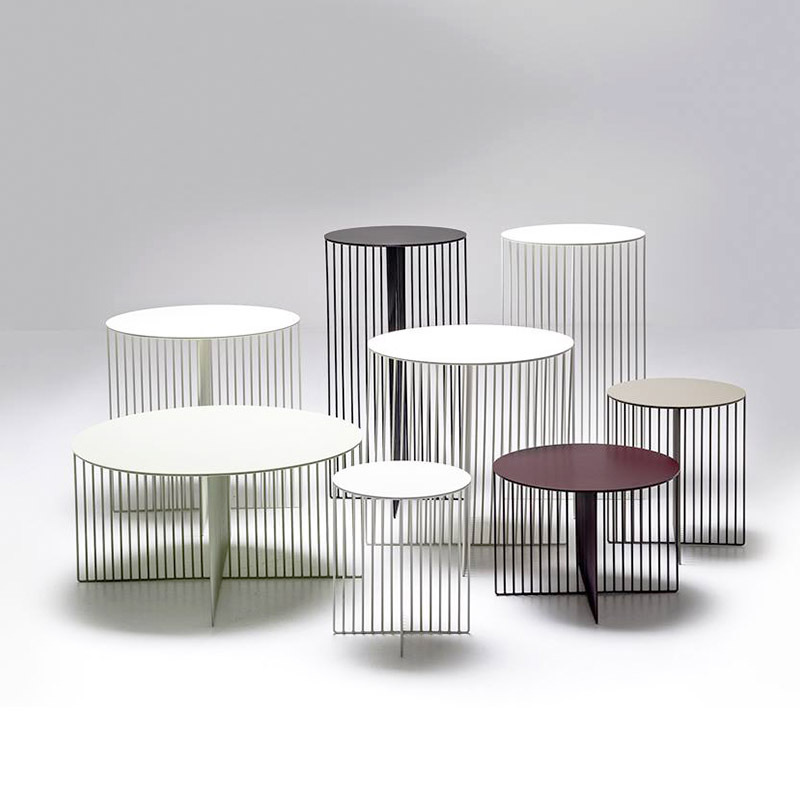 The instantly recognisable handcrafted cross-shaped tubular steel base characterises these occasional tables, which are available with round, square or rectangular tops, and with different heights and dimensions even extra-large and in a broad colour palette. Table with an industrial look where the four tube steel legs in rectangular section converge in the middle of the table top recalling the trestles used by blacksmiths. 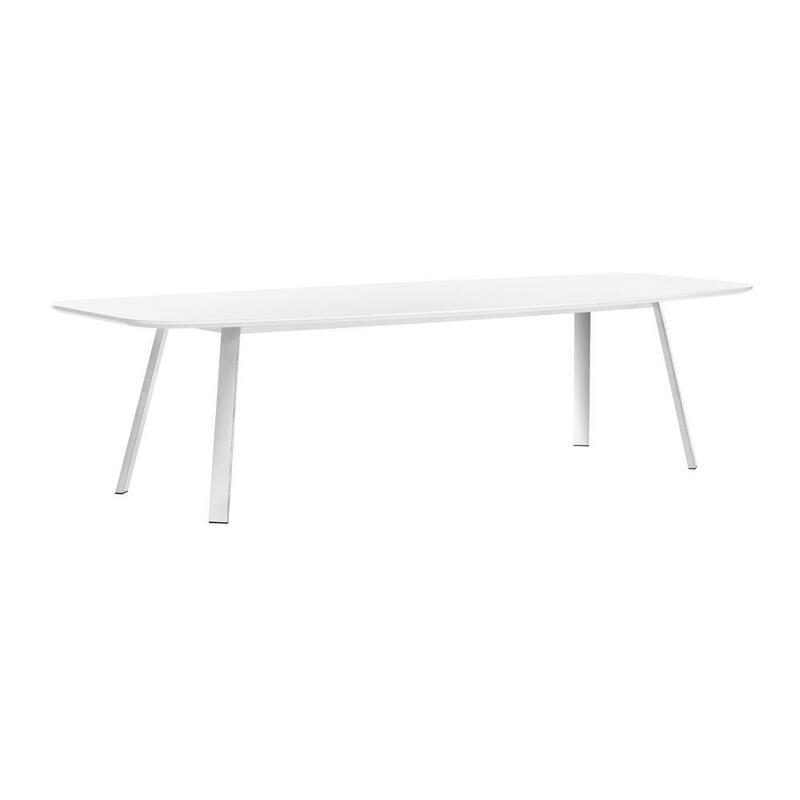 It can be matched with tabletops of different sizes and finishes, also suitable for outdoor. Clean and rigorous in the design project but versatile in its different applications. Same as today's best designers. Table base can be made with metal + epoxy coated, or wood in stain. 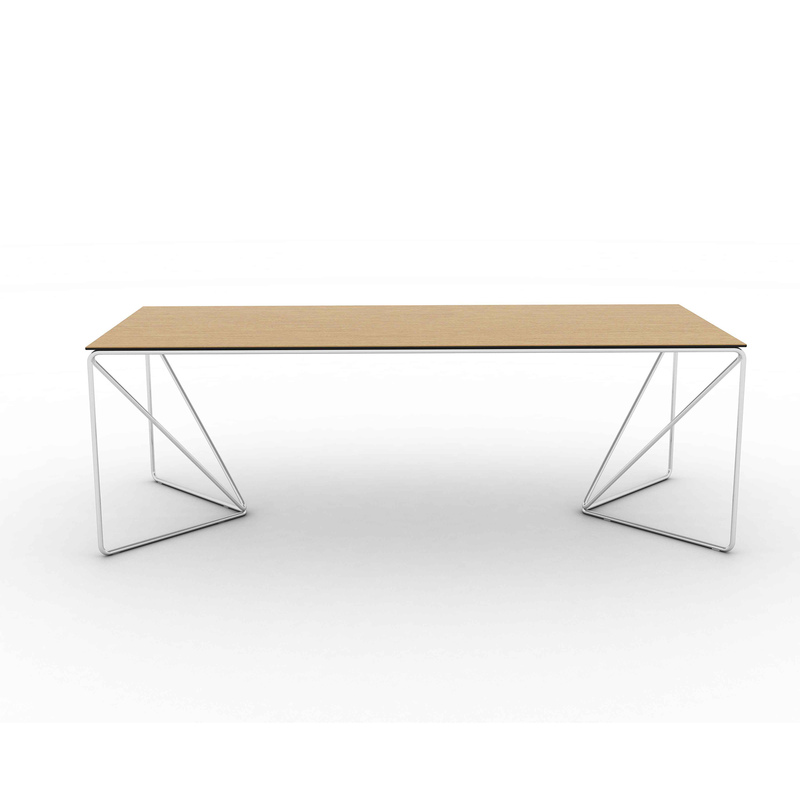 Table top can be in laminate + wood or fenix + wood. 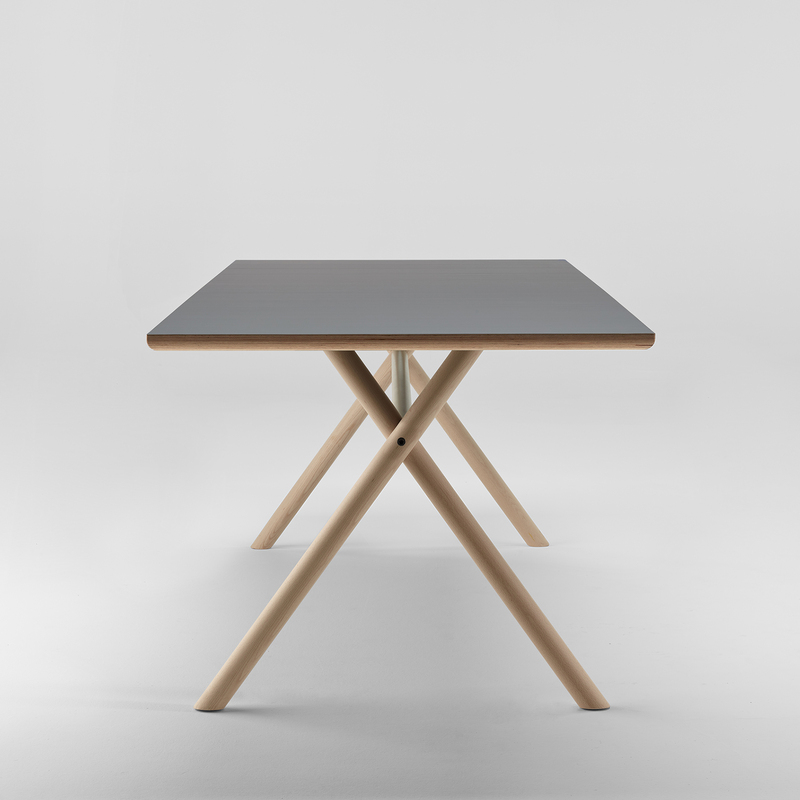 Bow table is B&T Design’s minimalist alternative offer for many different table needs. Its easygoing design features make it blend together with all other B&T Design products in harmony. 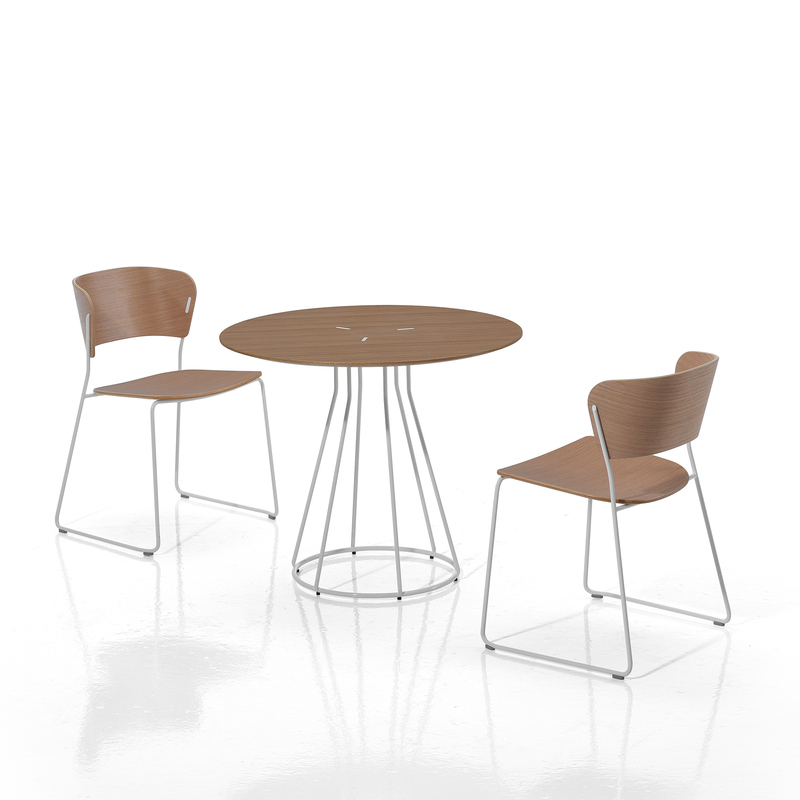 Contract usage of metal and wood and also different colors of metal section provides Bow table a robust look. 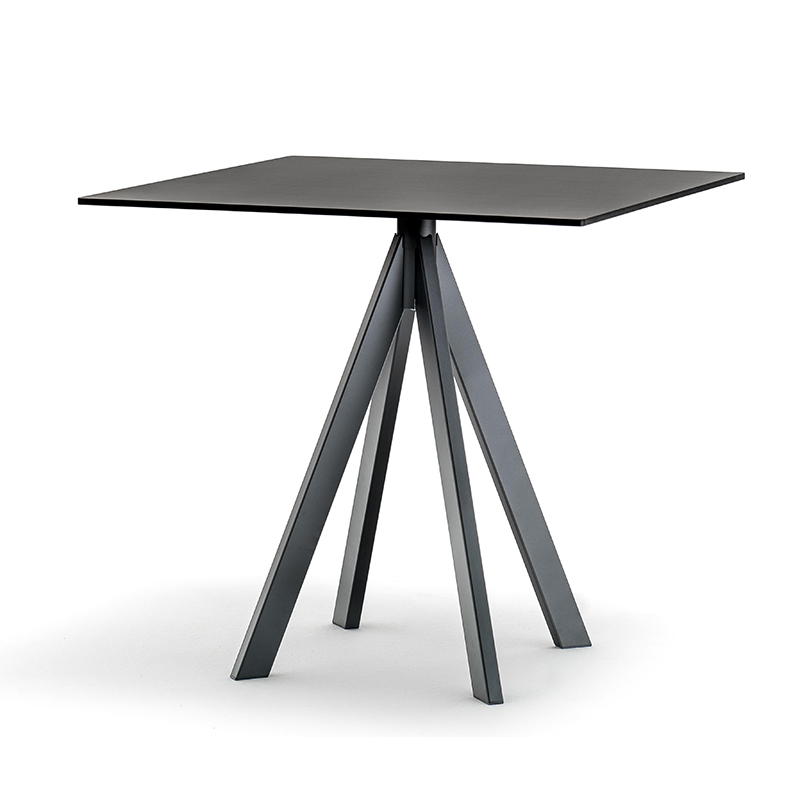 Cone is an elegant and smart table series in different formats and heights with or without powerport. 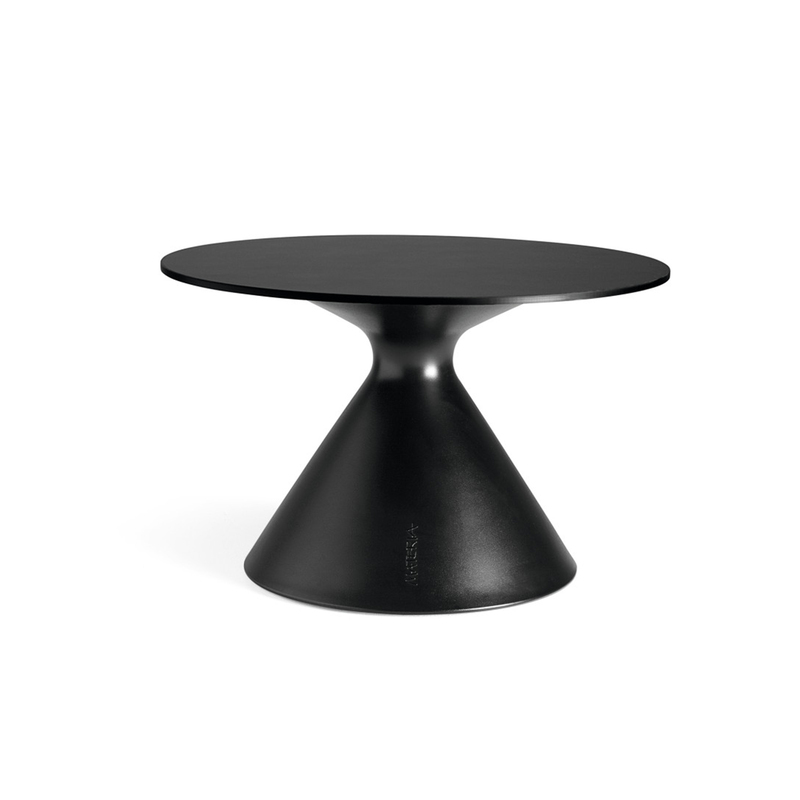 Cone table in a height of 710 mm are available with a black power grommet. With its soft geometric design and exciting combinations of materials, Cone exudes a modern, stylish attitude. 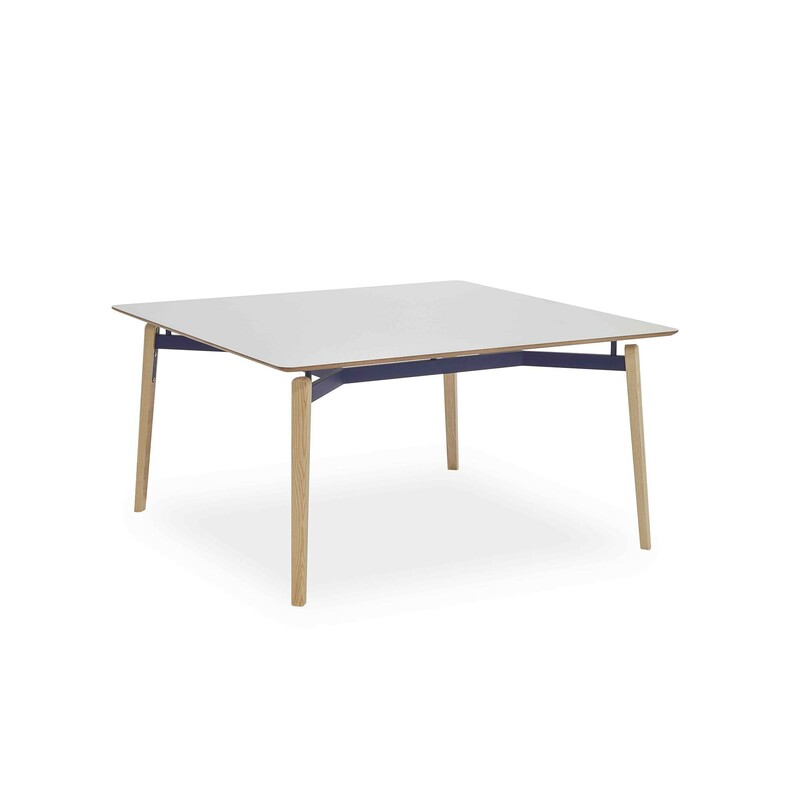 The tabletop is made from durable compact laminate, and the handy cable tidy in the stand hides all cables. Dynamic. Space-saving. Superbly designed. Desk-sharing, flexible teamwork and short-term integration of freelancers into project groups have become an integral part of our daily work routine. That means it is high time for this to be reflected in the working environment too. 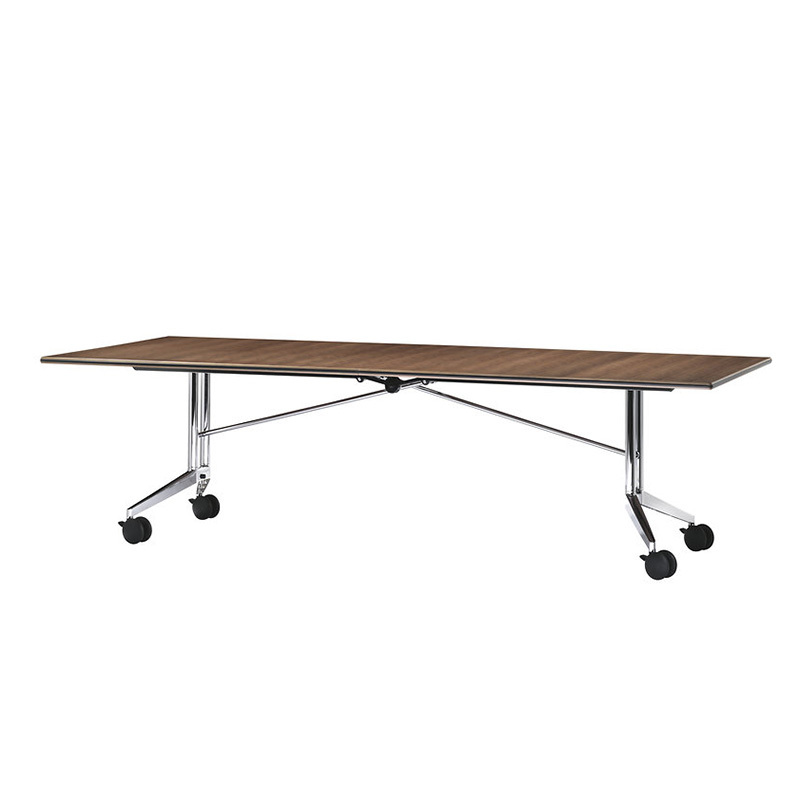 By tilting the table top, the desks can be stacked into one another to save space.